Traditional houseboats called kettuvallams are a big tourist attraction on the Kerala backwaters on the Malabar Coast of India. This scene had the timeless quality I look for when I create my Forgotten Postcards. 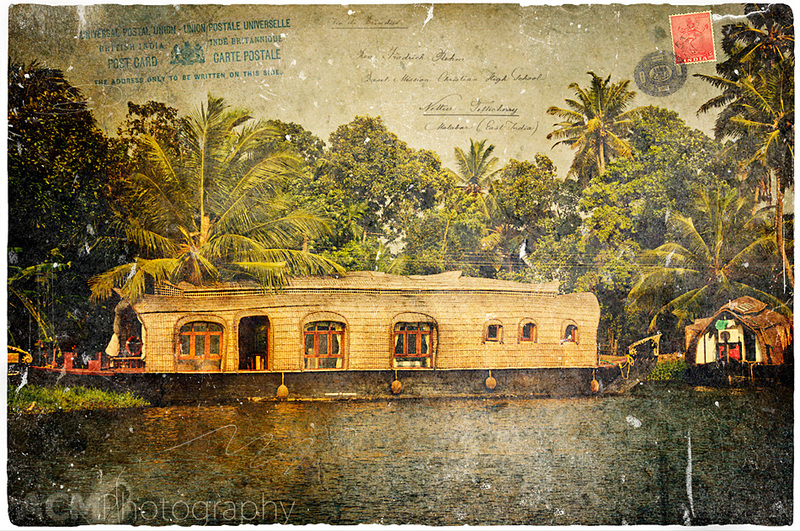 This entry was posted on Monday, May 2nd, 2011 at 13:58 and is filed under Digital Art, Forgotten Postcards and tagged with asia, backwaters, boat, collage, digital art, Forgotten Postcard, houseboat, india, kerala, kettuvallams, postcard, tropical, vintage. You can follow any responses to this entry through the RSS 2.0 feed.